Since graduating from Pacific Lutheran University with her Bachelors Degree, the life of Crystal Aikin, this ER Registered Nurse, has been a great example of trusting in God. 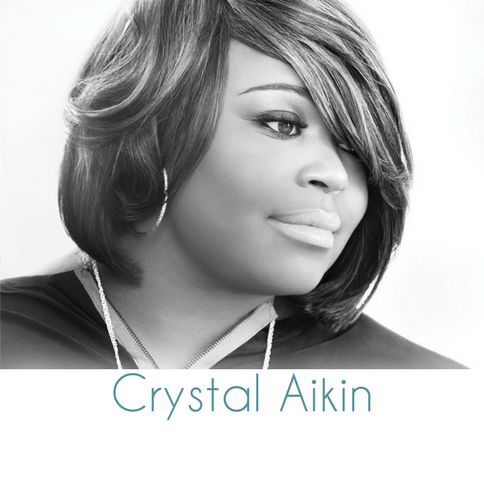 Crystal Aikin is the winner of the inaugural season of “BET’s Sunday Best”. Her show aired 8 seasons ago, in which gospel talent from all over the country exhibited their gifts in front of gospel legacy artist as judges, Mary Mary & Bebe Winans. Crystal not only won the inaugural season but, she also received a recording contract with Verity Gospel, now known as RCA Inspiration. 2010 – Album feature at Paul S. Morton Celebrates 25 Years Live Recording. 2011 – Honored singing performance before The Desmin Tu Tu. 2013 – Toured with the national stage play "Love Lies" featuring Brian McKnight, Angie Stone, and Elise Neal. Among her short list of experiences, she currently serves as the Director of Music & Fine Arts at The Potter House, Fort Worth campus.